Third-year Josh Scofield dribbles the ball past a defender. 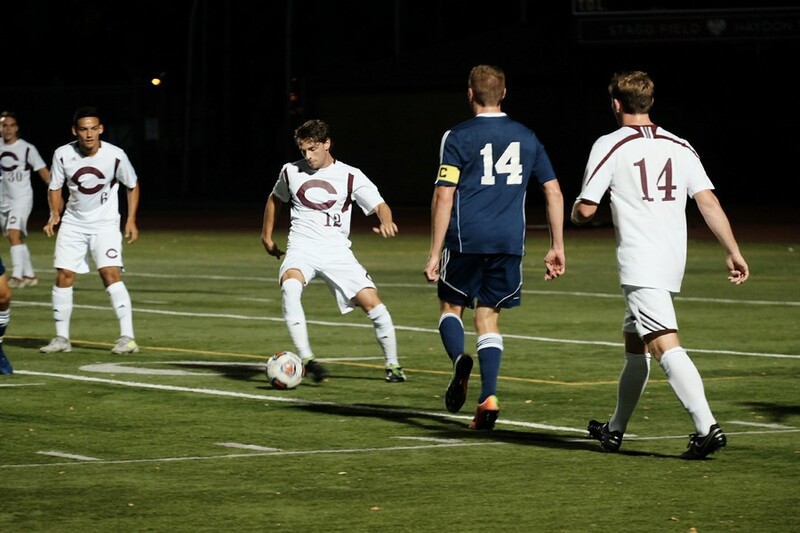 The University of Chicago men’s soccer team continues to be unstoppable. With a 10–0 record, including an impressive win over UAA rival University of Rochester this past weekend, the Maroons are once again ranked No. 1 in NCAA DIII rankings. Saturday’s victory against Rochester was one for the books. After jumping to a 4–0 lead in the first half, the Maroons held on to win 4–1. Game leaders included third-year forward Matthew Koh, with two goals in the first half, and fourth-year midfielder Andre Abedian, with one goal and one assist. Averaging roughly four goals and 19 shot attempts per game, the Maroons should have no trouble continuing their winning streak this Tuesday, October 3, when they take on the Carroll University Pioneers. Despite the struggling Pioneers’ record of 2–7–1, the Maroons are not taking them lightly. To get ready for the game, the Maroons are preparing both mentally and physically. With an impressive weekend win under their belt, the Maroons are excited and prepared for what is yet to come. They are looking to redeem themselves after falling short last year and losing in the third round of the NCAA DIII Championship. “We hope to bring the trophy home to UChicago, and we will continue to perform to do so,” Adeosun added. Taking it one game at a time, a win over Carroll University on Tuesday is exactly what the Maroons need to stay on track.